Look at me! Happy, cheerful, and bright is what this necklace says when you wear it! 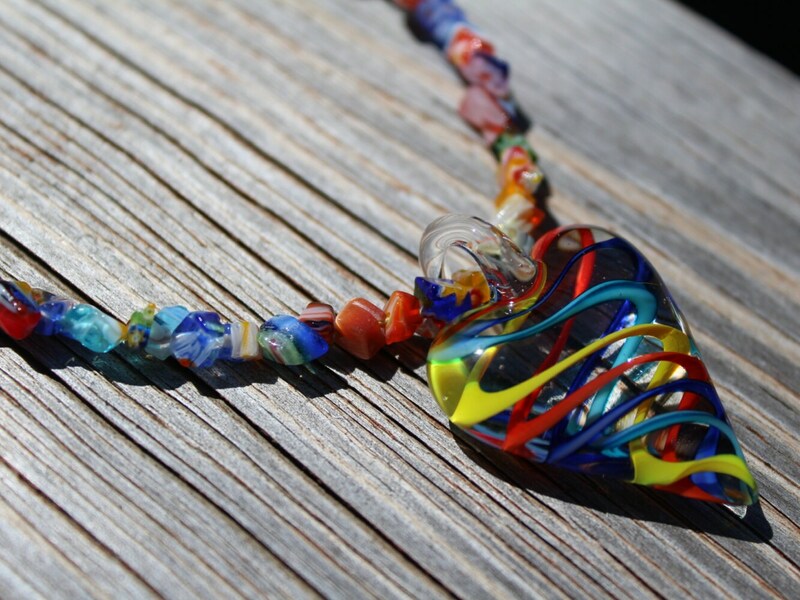 A beautiful swirl of color...with millefiori chip beads and a gorgeous glass heart pendant! 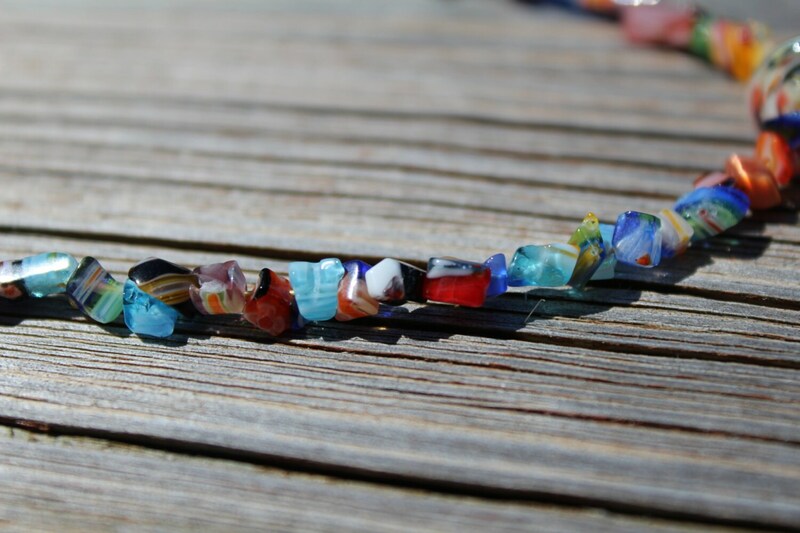 The entire necklace measures approximately 18.5 inches. The glass heart alone is 42x30mm! If you tend to wear a lot of primary colors, this one is for you!